This weeks Green Tip of the Week is from a blogging friend of mine. Isabelle at Just Another Static Heart. Lemons to cure headaches! Yep Lemons! 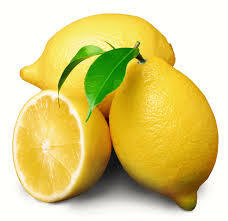 Slice a lemon - then place the slices on your temples. Isabelle uses a bandana to hold the lemons in place. I have not had a headache since I heard of this great natural cure. My next headache I will for sure be giving the lemons a try. As with all natural cures...they work on some and do not work on others. Just like chemical medicines, Give the lemons a try ..they may do the trick. I had no idea that lemons can cure headaches! I have to try it out when I have one next time. I so need to try this because migraines are horrible!